Famous for its archaeological finds, including the fascinating Sutton Hoo, where a ship burial dating back to the 7th century, was uncovered in the first part of the 20th century. Suffolk is full of tales of its native ‘Angles’ and naturally, of unexplained sightings and phenomena. Roos Hall, near Beccles boasts a spine-tingling ‘hanging tree’ – a large oak tree that stands on the site of a gibbet where it is said many a shady character ended their days. There have also been reports of the face of a small girl peering out from a window on the top floor. A coastal excursion could take you to the town of Dunwich, which was once the capital town of Suffolk. A ghostly sailor is said to roam the beach before disappearing into the sea. 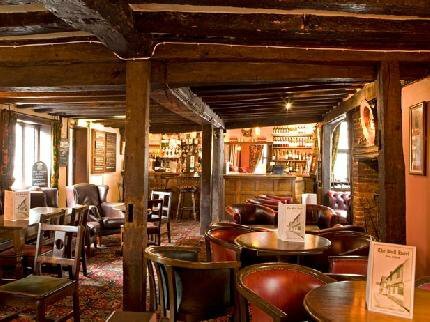 In the village of Denston, the Plumber’s Arms public house has been at the centre of consistent paranormal activity. Pictures moving or thrown from the walls, a piano that plays by itself, unexplained footsteps on the landing and the ghost of elderly man appearing in one of the bedrooms. Once you’ve located your ideal haunted hotel, Suffolk offers a wealth of fantastic places of interest to make your stay one that you’ll never forget. 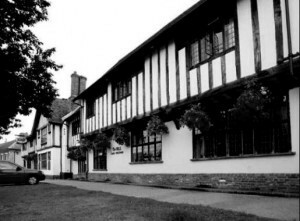 We feature just some of the most haunted hotels in Suffolk. 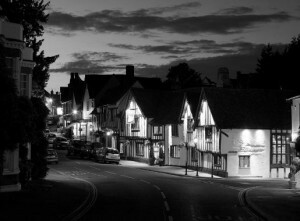 If you know of a haunted hotel in Suffolk that we’ve missed, we’d welcome your suggestion. Just click on the ‘Contact Us’ link in the footer at the bottom of the website.